Even in a temperate climate like the Danish with no heat wave on the horizon a tall, cold drink can be the only thing that keeps a day from being a total write off. So a Rum Ting to the rescue. Only problem: I have yet to source Ting. But I do have freshly squeezed pink grape fruit and sparkling water. Fill a tall glass with crushed ice - beating the h... out of the ice in a Lewis bag is very satisfying on a day like this - add the rum and the juice. Stir until the glass is frosted and then add the sparkling water. 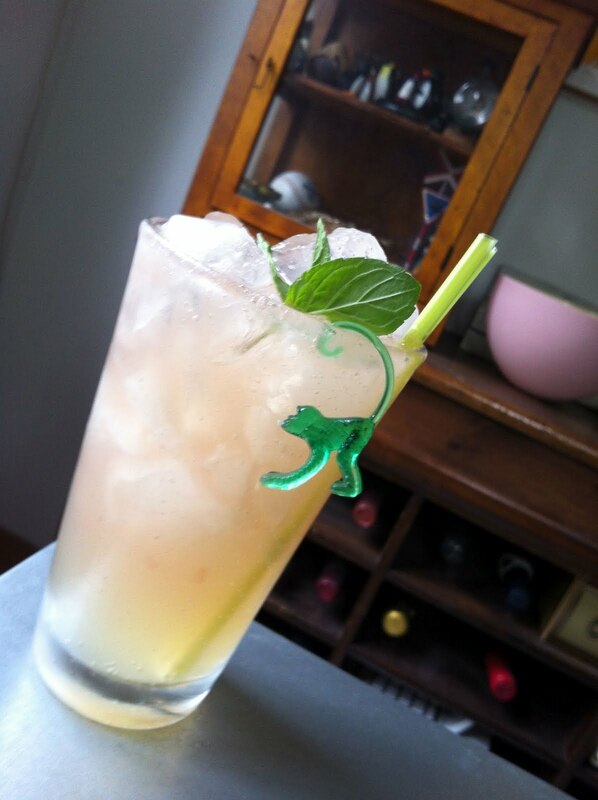 Garnish with a sprig of mint - add straws and a green monkey.